Trivia: How many Saint Bernard’s can you find in the above photos (answer: two). 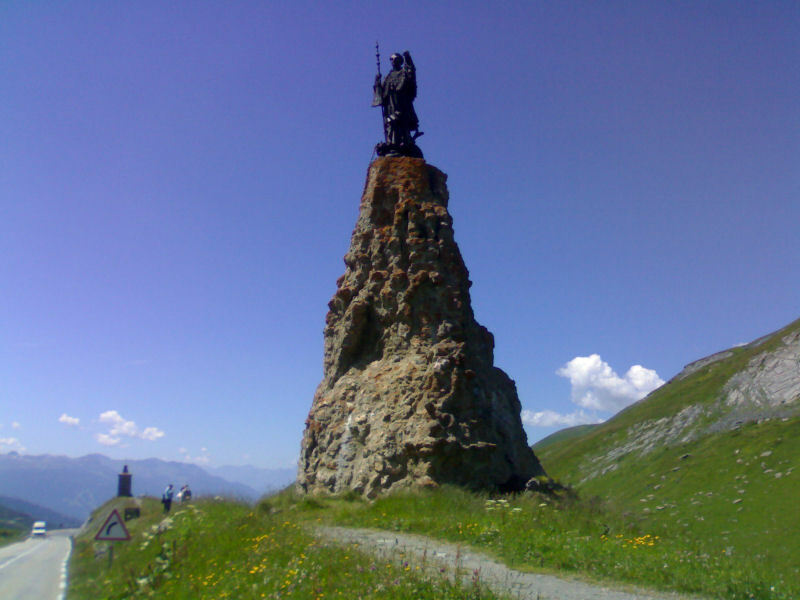 The 2007 Tour de France climbed part of this Col, turning down at about 1,650 metres, this was the second last climb on the stage that ended in Tignes. Col du Petit Saint Bernard is a small but big climb. Small because it is rarely steep averaging less than 5 percent, but big as it includes almost 1400 metres of vertical climb and finishes at almost 2,200 metres (for those good at math, yes that means it is long – about 30 kms). Lots of history here. 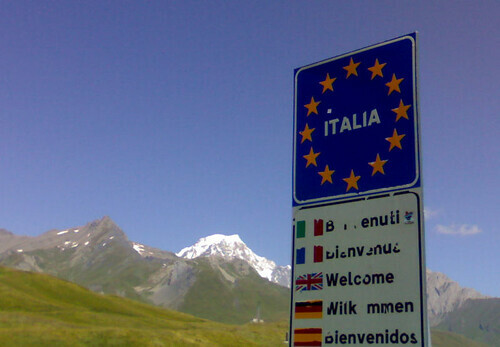 The Col is believed to have been used by Hannibal when he crossed the Alps to invade ancient Rome. 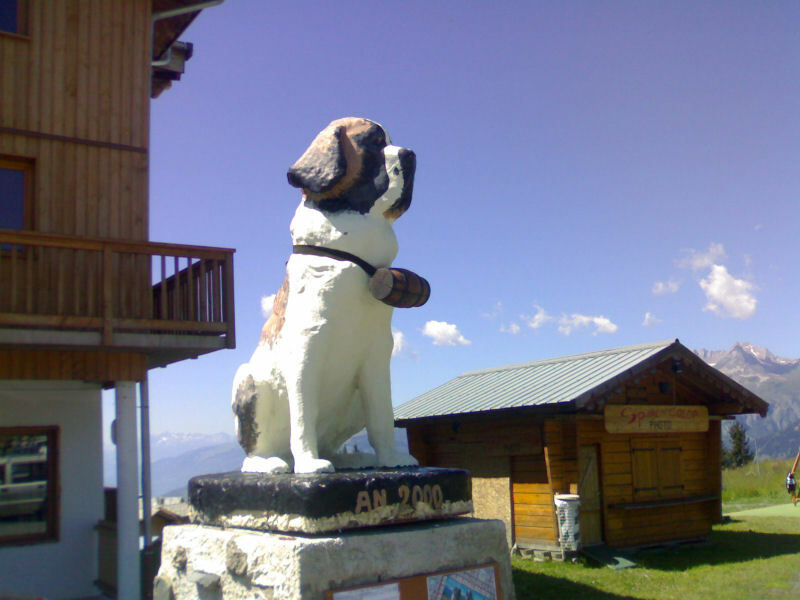 Saint Bernard wandered up here fighting paganism and founded a Hospice in the middle ages. There used to be a Roman Temple dedicated to Jupiter at the top – this space is now filled with a giant statue of Saint Bernard. There is also the remains of a 72 metre stone circle dating from the Iron Age. Although my Sunday group rode the Mount Crosby loop yesterday and its a speed bump compared to these things you climb over. I does have twin spikes that are 20%+ but they are only very short. I was destroyed by the end. So you certainly earn the views. Sounds better if you say it Monte de la Crosby? As Bazza about it. Cheers. Anything with 20% grades is tough, no matter how short – sound like “Col de la Crosby” is a great loop. And yes, the views are earned so its important to keep reminding myself to look around when I am feeling shattered nearing a summit. Yes! 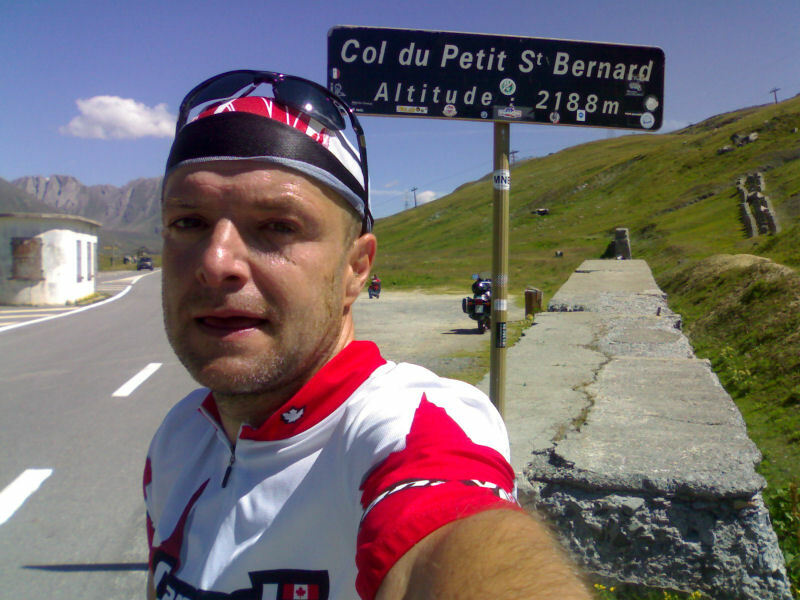 I love the Col du Petit St Bernard, which we cycled in summer 2006. As you say, it is quite do-able for a reasonably fit recreational cyclist (with a little mountain training) and the gradient is not too epic. You can always stop for lunch at La Rosiere by which time you really feel you are going to make it. Going again in a couple of weeks and hope to pop over into Italy, to spend a couple of nights in Aoste and then back again. All a tester for a future Tour of Mont Blanc, as detailed in Paul Henderson’s brilliant book, Cycling in the French Alps (available at Amazon.com or Amazon.co.uk), which you have mentioned on another page. Love your website!